Shot Scope has revealed more information about its innovative V2 model, which is set to deliver a combination of advanced GPS technology with leading automatic performance tracking into the market. 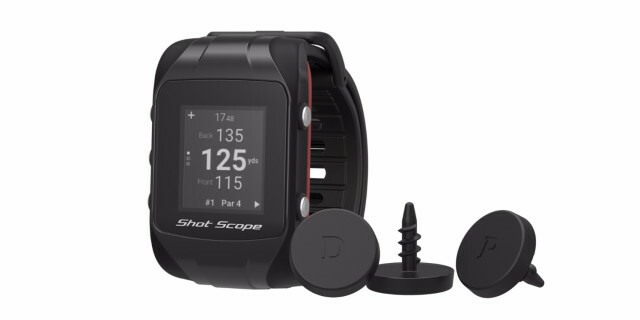 Available to pre-order at the introductory price of just £189 from today, Shot Scope V2 builds upon the success of the company’s trademark automatic club recognition technology and detailed performance statistics by also providing accurate front/middle/back GPS yardages. Performance statistics of this quality have previously only been available to Tour players, however V2 uses Shot Scope’s proprietary course mapping data to bring the same level of detail to the palm of the everyday golfer. Shot Scope’s in-house engineers have developed V2 with three modes to meet the needs of every golfer; GPS, PRO and GPS+TRACK. In both GPS and GPS+TRACK modes, the LCD screen displays distances to the front, middle and back of the green from the golfer’s real-time position using SMART GPS. Distances to hazards will be released in a software update later this year. Performance tracking is activated in both PRO and GPS+TRACK modes. The device works in the background to collect over 100 Tour-level statistics, broken down into five areas: clubs, tee shots, approaches, short game and putting. Following the success of V1, a sell-out pre-sale campaign which attracted more than 2,000 users across 35 countries, the launch of V2 has been highly anticipated as it meets the needs of those that crave both GPS and automatic performance tracking technology in one device. Shot Scope V2 will retail for £225, however a special pre-order price of just £189 is available until October 1 at which date the product will ship. Golfers can pay a deposit to secure their purchase today, and pay in full nearer shipping time. Shot Scope was founded in 2014 by CEO David Hunter. Hunter, a former electronics design engineer and secondary school teacher, invented the product at home in his spare time. Now a team of 17 based in Edinburgh, Shot Scope designs, engineers and manufactures all its products in Scotland, bringing golf technology to The Home of Golf. The team also includes former Walker Cup player and ex-professional golfer, Gavin Dear.